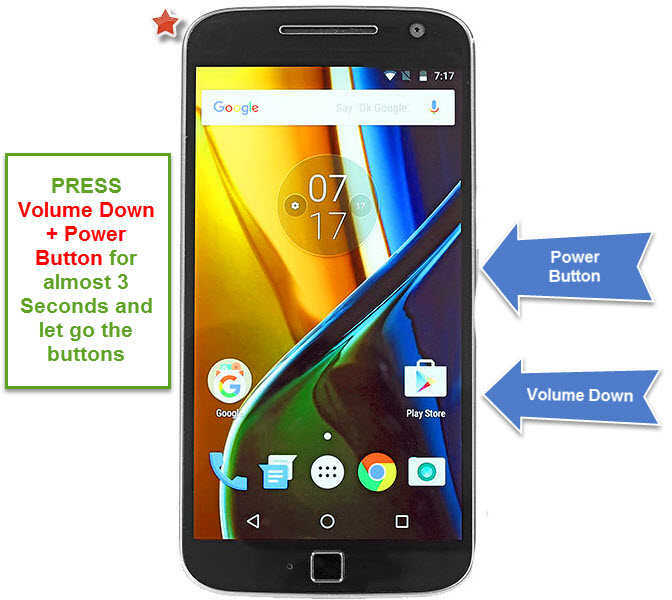 Step 2: Once the phone is completely powered off, Press and Hold the Volume Down Button + Power Button for almost 3 Seconds and let go the buttons. Step 3: Afterwards you will see the “Recovery Menu” on your phone. Press Volume Down button to navigate the Recovery MODE and Press Power button to confirm the selection. Step 4: Once you see the Android Logo on your Moto G4 Plus screen with the message “No Command”. Press Volume Down button + Power Button at once to enter into Recover Menu. Step 5: In the next step, You’ll be having screen with “Android Recovery, Motorola/Athene_retail/Athene, 6.0.1/MPJ24… On this screen press Volume Down button to select “Wipe data/factory reset”. Step 6: Press Power button to confirm the selection. And on the next screen press Volume down button to select “User/data + Personalized content” and Press Power Button again. Step 7: After that when you see “Reboot System Now” just press Power Button to complete the procedure. Once your phone restarts, You can complete the initial setup of your Motorola Moto G4 Plus phone. And you’ll notice that there will be no hanging or freezing issues anymore. There will be no Password locked Screen or Pic Codes on your device. 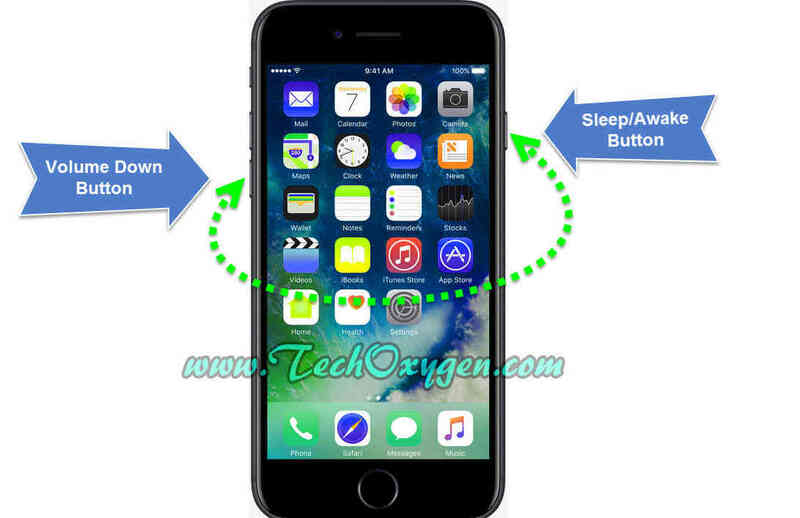 Question: How to Force Restart and Get into “RECOVERY MODE” on iPhone 7? As the matter of time, The Old Hard Reset method with the combination of two buttons “Sleep/Awake button + Home Button” we used to press both of these buttons to Force Reset our iPhone device. But, the method is change now as the new iPhone 7 doesn’t have mechanical button any longer. iPhone 7 is now functioning a Capacitive solid-state home button composed by a software. Therefore to perform a Hard reset/Force Reset or get in to the “Recovery DFU Mode” in iPhone 7 we no longer need to use the Home Button. Sometimes we need to give a “FORCE RESTART” to our phone when the phone stuck or hanged for any reason. So, here Force Restart help us to restart the phone and break the “Hang Screen Locked”. When you see APPLE LOGO on your iPhone Screen, let go both of the buttons and your device will be restarted. As this “Force Restart Method” is quite a bit easier than the previous traditional method. Step 2: Now Press and Hold “Volume Down + Sleep/Awake Button” at the same time. Keep holding both of the buttons even after your iPhone 7 force restarts or even if you see the Apple LOGO on your iPhone Screen. Step 3: Once you See “Connect to iTunes Message” “iTune logo and the Cable” on your screen let got the buttons and now you’re in the “Recovery Mode”. You can open up iTunes in your PC or MAC then you’ll see this message “iPhone 7 Recovery Mode”: To update your iPhone 7 without erasing its Contents, click Update. 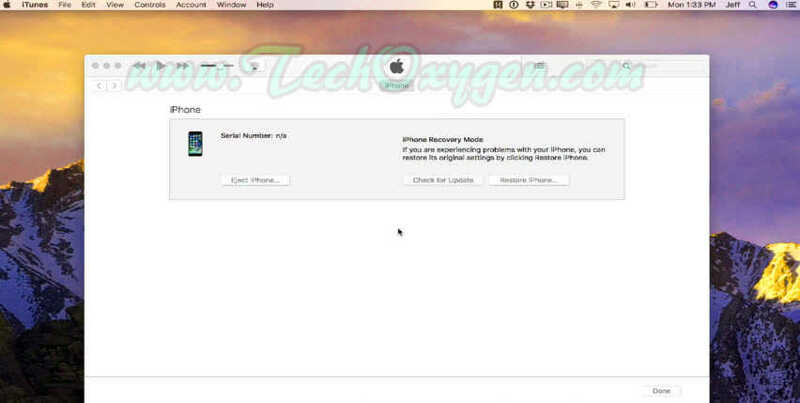 To restore your iPhone 7 to its Factory Settings, click Restore iPhone 7. Step 4: So, Click on the “Update” if you want to update your iPhone or Click on “Restore iPhone” to restore your device. Step 2: Once you connected Press “Volume Down button + Sleep/Awake button” at the same time for almost 12 Seconds. Count to 10 while you pressing the buttons and release the “Volume Down Button” after 10 and keep holding the “Sleep/Awake Button”. Step 3: Don’t worry about the screen it should be black nothing will appear on your iPhone screen unlike the Recovery Mode, Which shows the iTunes message. Step 4: Just launch “iTunes” in to your PC or Mac and you’ll be seeing this message “iPhone Recovery Mode: If you are experiencing problems with your iPhone, You can restore its original settings by clicking Restore iPhone”. So, Just click on “RESTORE iPhone” to start the process of DFU “Device Firmware Upgrade” mode that will allow your iPhone 7 to be resorted from any state. 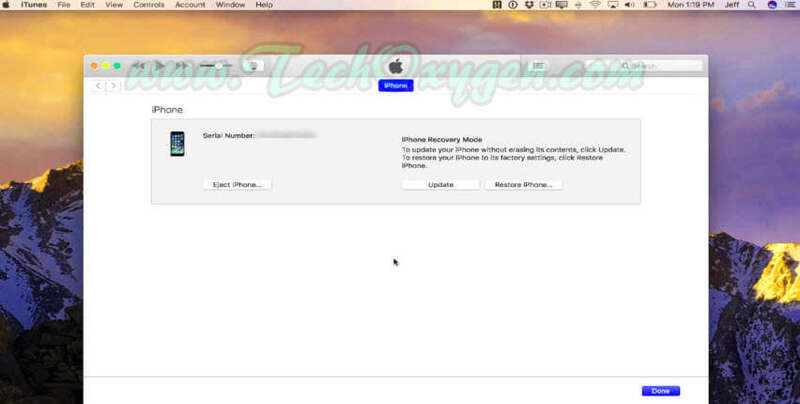 Now you have solved your issues or you have restored your iPhone device and want to get out of the Recovery Mode. Its very easy just press “Volume Down Button + Sleep/Awake Button” keep holding them untill the iTunes screen goes away. Once the Apple Logo appears on your screen you can leave the buttons and your phone will restart. And its now exit to the Recover Mode. 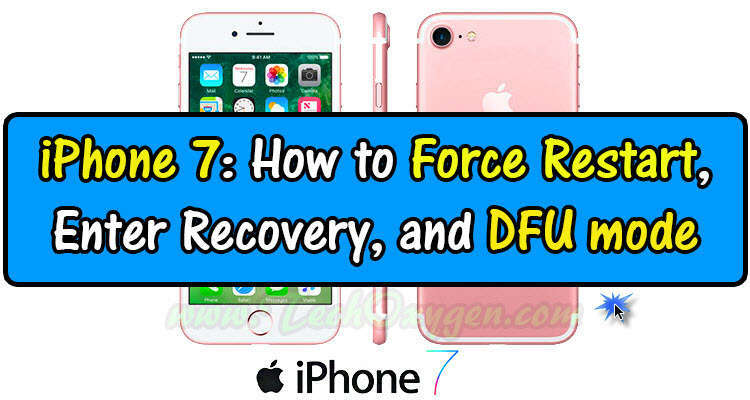 So, This is the complete guide to Force RESET and Know about how you can get in to Recover Mode in iPhone 7 and also how to Enter Recovery DFU mode. We also show the method to exit to Recovery Mode and also how you can easily get out of DFU Mode from your iPhone 7. If you still need any help, feel free to comment below. Whether your HTC Desire 530,630 or 825 is messed up, locked up or you’re locked out. In this guide you’ll be learning how you can do reset in a few easy steps just using the buttons on the side. You can Factory Reset your phone by using the Power button and the volume buttons. WARNING: This will erase everything in the internal memory of the phone like : Photos, Contacts, Videos and Apps. All will be gone so make sure you backup everything you need to keep. How to Hard reset HTC Desire 530 from recovery mode? This method is the same for HTC Desire 630 and HTC desire 825. First Step : So, the first step to do the hard reset for your phone first you must powered of your phone from the power button. When your phone is fully powered off, now Push and hold the “Volume down button” and the “Power button” util you see HTC logo on your screen. 2nd Step : Then you’ll see the “HTC Download Mode menu“, press “Volume Down Button to select “Reboot to bootloader” and push the power button. Then you’ll be in the Bootloader mode press “Volume Down Button” again to select “Boot to Recovery Mode” and push “Power button” to enter in recovery mode. Thirs Step : After few seconds you’ll see a Red Triangle on your HTC Desire phone screen. Now press “Volume UP button” and “Power button” at the same time. Then you’ll be in “Android Recovery Mode“. Now here press volume down button again to select “Wipe Data/ Factory Reset” and press Power Button. Then press volume down button to select yes and hit the power button. Now press “Power Button” to select “Reboot System Now” and wait until your phone will restart. When the HTC Desire 530 restarted you can do the initial setup of your phone to setup like new. 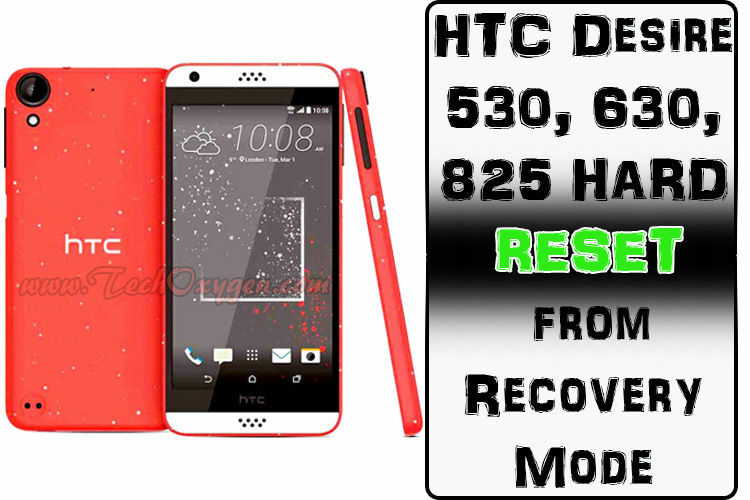 This is the complete guide for Hard Reset HTC Desire 530 Phone from recovery mode, If you still need any help regarding this issue feel free to comment below.